Often when we are studying Old West history we come upon anomalies that seem too modern for the times. For example, when the U.S. army wife, Martha Summerhayes, arrived at Fort Apache in 1874 she reported seeing an army officer's wife playing tennis, one presumes on the remote garrison's tennis court. 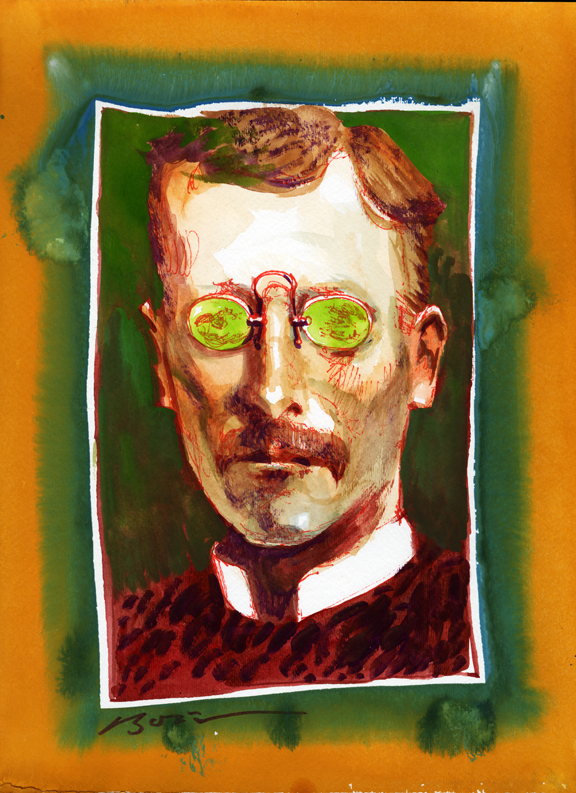 "The long continuous dusty Travel over flat glaring Plains began to affect the eyes of our men, and those that had had the foresight to bring Colored Glasses were using them." "If you put guys with sunglasses in a wagon train the movie people would think you were crazy." 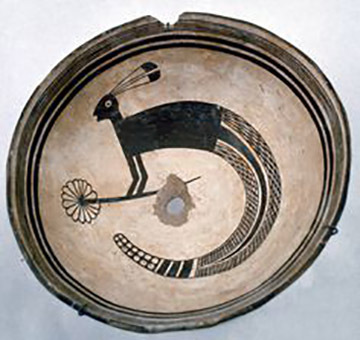 The ancient Mimbres culture of southern New Mexico (a branch of the Mogollon) enjoyed creating design motifs on their now famous ceramic ware to express humor for many centuries. Some designs are really comical while others show predicaments in which man finds himself. Creations of half animal, half man are common and combination renditions such as this jack rabbit that has a lizard tail and a rattlesnake’s cascabeles (rattlers) at the end are amusing to say the least. That same sense of creativity has been passed on through a thousand years after their departure from the valleys surrounding Silver City, New Mexico to the Pueblo peoples of today. "Just because you were conceived in the back seat of a Jeep doesn't make you Cherokee."